Is Two-factor authentication the solution for any kind of hacks? A text message could be used to take over your Google Account. Following the recent data breaches suffered by IT giants (e.g. MySpace, LinkedIn, Twitter) security experts are inviting users to avoid sharing login credentials on multiple websites and to enable two-factor authentication (2FA) when it is available. Is Two-factor authentication the solution for any kind of hacks? Of course no, it is important to assume the proper security posture being aware of the threats, two-factor authentication processes could be bypassed in various ways, for example by using malware or through social engineering attacks. 2FA drastically improve security, even when hackers steal your password they need a second factor to complete the authentication process. Unfortunately, they can obtain this precious information by tricking victims into disclosing it. 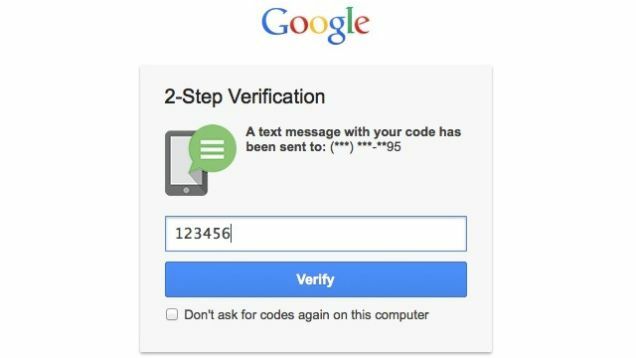 Earlier this week, the security expert Alex MacCaw, co-founder of the Clearbit firm, warned of an attack technique observed in real attacks aiming to trick users into disclosing a two-factor authentication (2FA) code on a Google account. The attacker sends a Google user a text message, pretending to be the company. The technique works also with other service providers if the victims use their service. The message reports the service provider, Google in this case, has detected “suspicious” activity to the account. The company is now asking the victim to provide the 2FA code to avoid having their account locked. The victim in order to avoid problems sends the code back, believing they have thwarted the attempted hack. At this point, the attacker has all the necessary to take over the victim’s account. The hacker uses the victim’s credentials and the 2FA obtained through the above process to access the account. You are thinking that attackers need to have login credentials of the victims, but this is not a problem because the criminal underground is fueled by data leaked after numerous data breaches. In many cases, the leaked dumps include the mobile phone number of the victims, for this reason, it is a joke for hackers to target you. The attack method is not new, periodically we see threat actors to adopt it. In most sophisticated attacks the hackers spoof their identity to make more realistic the messages sent to the victims. Today we have learned another important lesson, never text our two-factor authentication codes to anyone, even if they pretend to appear a legitimate service.